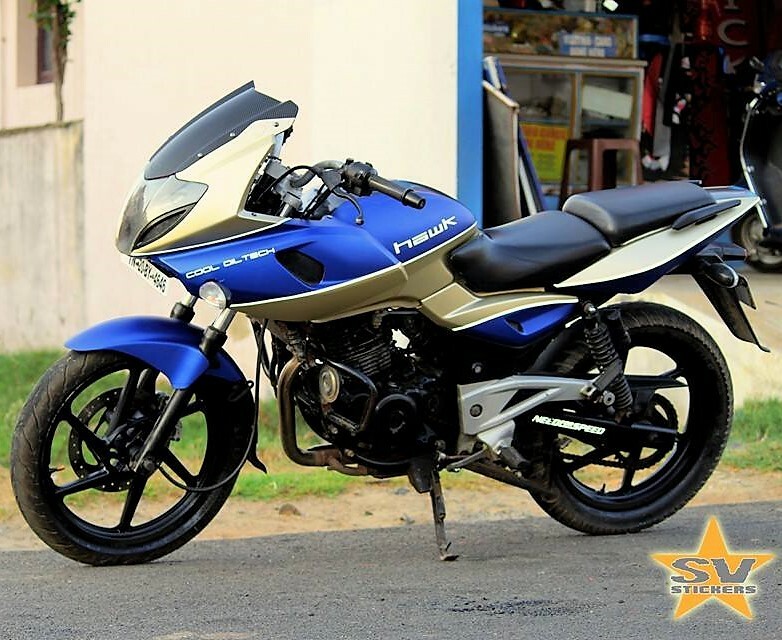 Bajaj Pulsar 220F is undoubtedly a gem in the company lineup. 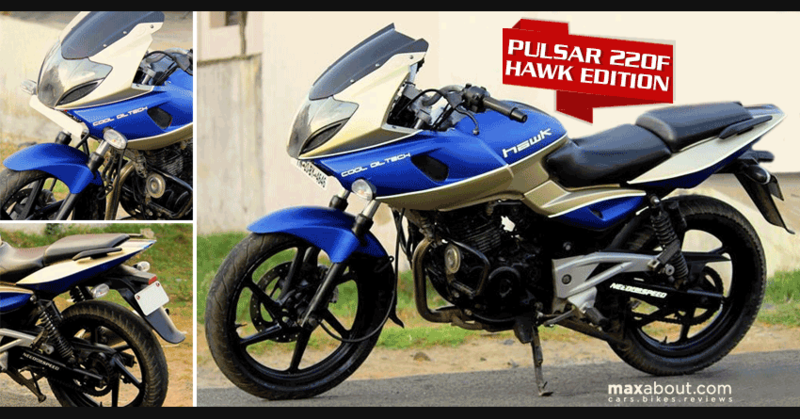 Whenever new products failed to impress the fans due to any existing reason, Pulsar 220F came to the rescue and brought decent sales to the Indian brand. 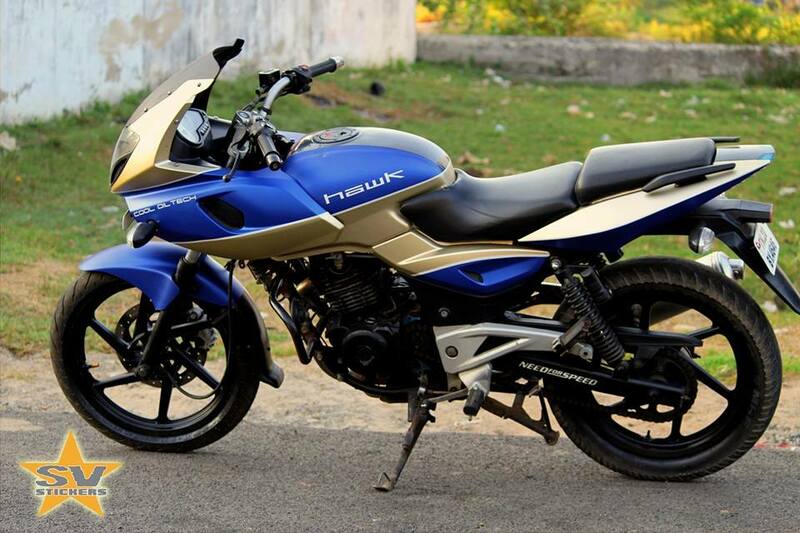 Despite of being around decade old, it still holds a special place among other Pulsars for Bajaj Auto. SV Stickers wrapped one such motorcycle in such a way that you can simply say that age is just a number for this faired motorcycle. Say Hello to the 220F Hawk Edition! The design line of 220F remains the same while dual tone shade on the ‘Hawk Edition’ makes it unique among all others. The fuel tank gets Blue on the upper side while lower half of the same is finished in Golden shade. The same pattern in followed on the side fairing and its reverse can be seen on the side panels. The same Golden shade is seen on the front fascia while its alloy wheels have been kept Black for a nice contrast. 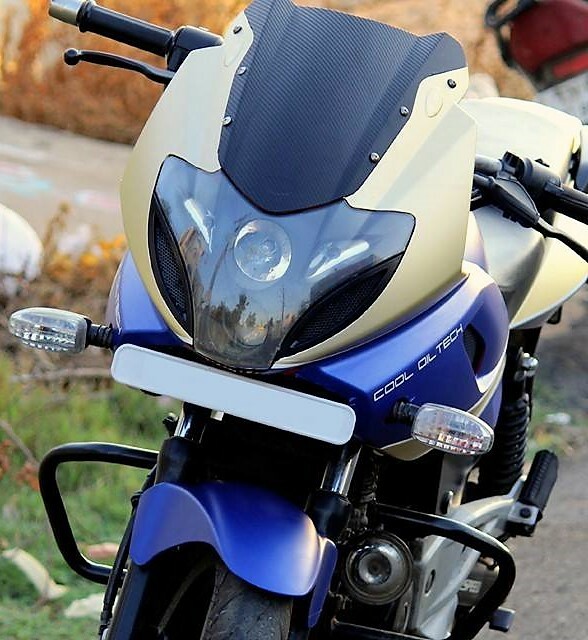 Bajaj Pulsar 220F is powered by a 220cc, oil cooled engine producing 20.64 BHP and 18.55 Nm of torque. The engine comes mated to a 5-speed gearbox and claims a top speed of 134 kmph. 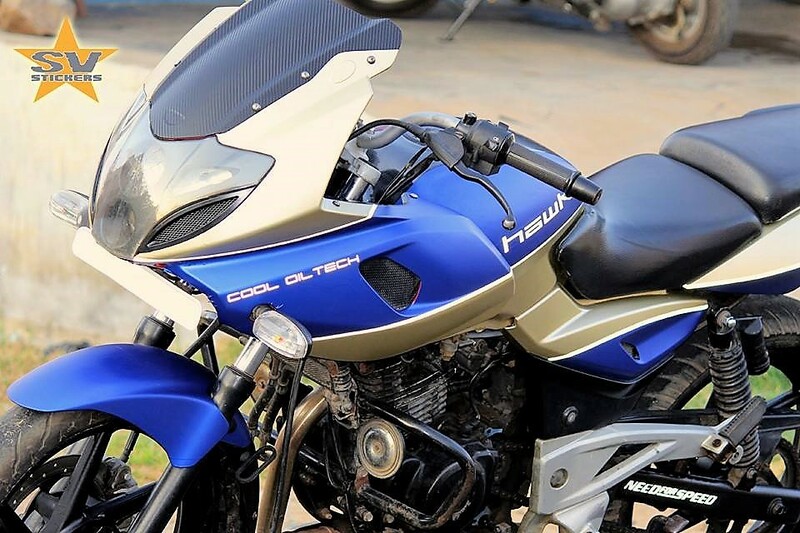 The motorcycle carries a practical 15 liter fuel tank while its overall weight tips the scale at 150 kg. 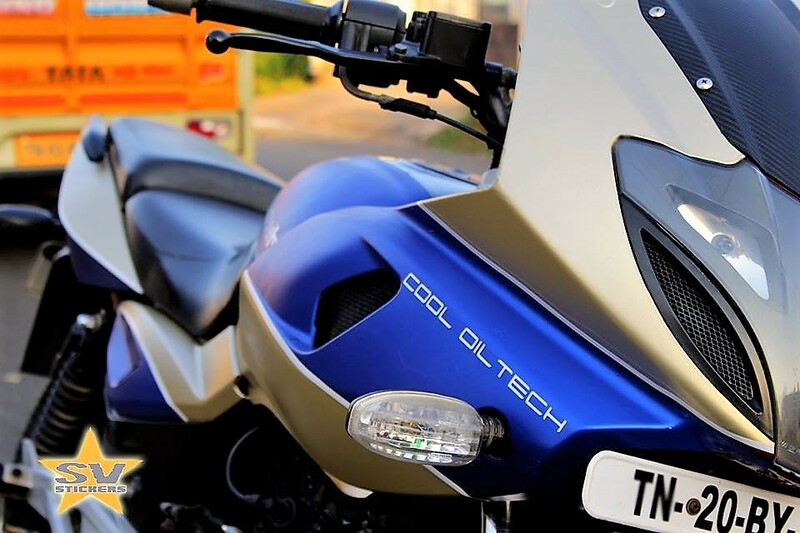 It currently costs INR 96,500 and takes 10.5 second to reach 100 kmph from standstill. 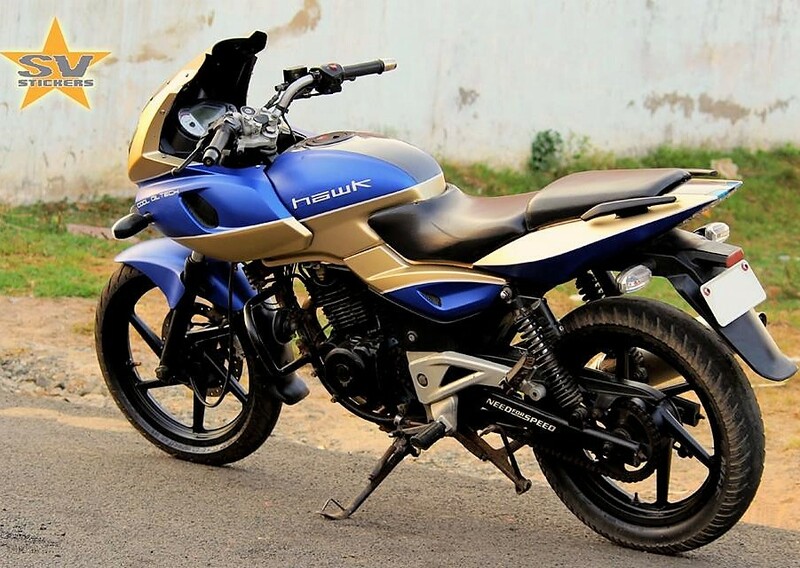 Pulsar 220F comes with a seat height of 795 mm in unladen condition.